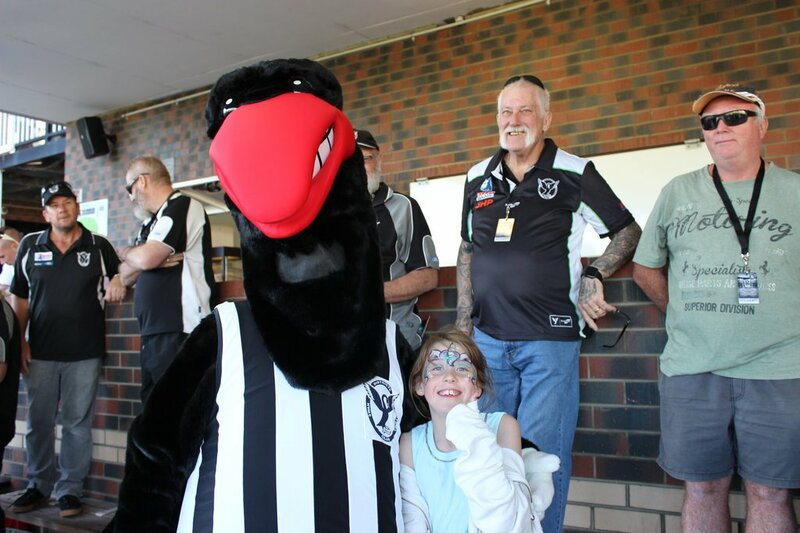 SWAN Districts has lost its past two matches but has won its previous two against Peel Thunder and will look to make it three on Saturday in Mandurah to consolidate fourth position on the WAFL ladder. Only one game separates the eighth placed Peel and fourth placed Swan Districts coming into Saturday's game at Bendigo Bank Stadium in Mandurah meaning the stakes are high for both clubs. The Thunder had a bye last weekend following a 35-point loss to South Fremantle but prior to that the premiers of the last two years strung together consecutive wins for the first time in 2018 defeating Claremont and West Perth. Swans, meanwhile, have lost their past two matches as well to Claremont on Subiaco which have come on the back of wins against East Perth and Perth. So Peel comes into the Round 13 contest in eighth spot with a 4-6 record while Swan Districts remains fourth at 5-5. A win for the Thunder on Saturday and depending on percentage and how Claremont goes against East Fremantle and East Perth performs against South Fremantle, they could even finish the round in as high as fourth spot. Swans currently sit fourth and are two games behind the third placed West Perth but a win on Saturday and they remain in touch with a top three spot. However, a loss for Swan Districts and they will likely drop out of the top five by the end of the round and then be locked in a fight to play finals football over the remaining seven matches. Swan Districts has won the past two matches against Peel including in Round 2 this year at Steel Blue Oval to the tune of 14 points in what was coach Adam Pickering's first home game as coach of the black-and-whites. 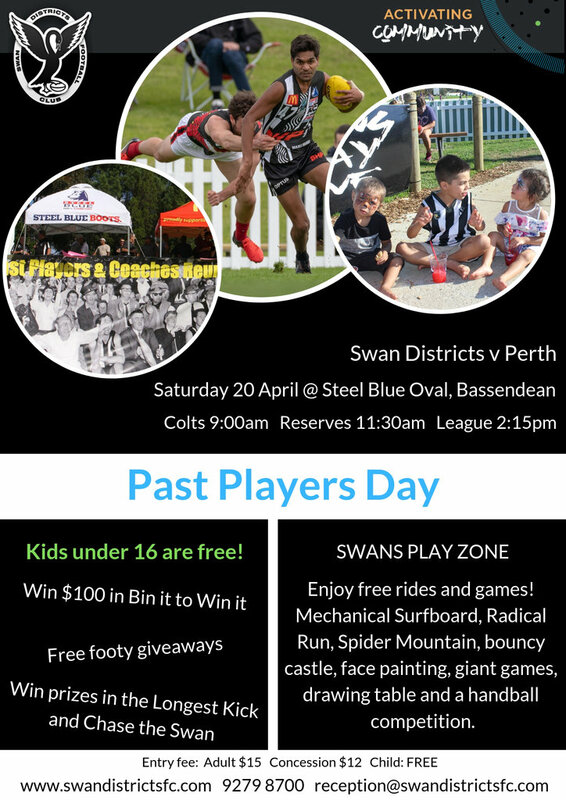 Swans also beat the Thunder by 16 points in Round 19 last year at Bassendean even though Peel went on to win a second straight premiership. Peel's last win against Swan Districts was in Round 9 last year at Bendigo Bank Stadium by 21 points. The Thunder did win three of four games over Swans before losing the past two. But prior to that, Swan Districts had the wood over Peel with a five-match winning streak. Swan Districts' wingman Freddie Clutterbuck made his first league appearance of the season last Saturday against Subiaco and the 132-game veteran is looking forward to Swans taking on Peel on Saturday. "We'll probably look to play our style of game and try to take Peel on. Obviously they are a well-drilled and very fit side and they've won the last two flags, and are coming off a bye so will be nice and fresh," Clutterbuck said. "We'll look to test them with our game style but that's not to say we won't have a few plans in place for their game style. "We'll have a close look at their midfield and the way they defend, and hopefully we can go down there with the right attitude, and our game plan on song, and really take it to them. "We are under no illusions how big a game it is considering how tight the ladder is and we will go down there and hopefully bounce back from our last two performances." Swan Districts is coming off last Saturday's hefty loss to Subiaco on home soil and from that team, Kirk Ugle, Brayden Hackett and Brad Fullgrabe go out of the black-and-whites team. With Ugle going out, he will miss the chance of lining up against Peel Thunder captain, and his first cousin, Gerald Ugle, who will be playing his 100th WAFL match. Taryce Stewart looks set to return for Swans to add some more bite to the forward-line while with Nathan Blakely still missing, Troy Yukich could come in to help Corey Gault out in the ruck and to also allow him to spend more time playing as a marking target in attack. Adam Faulkner has surprisingly been in the reserves most of this season but the prolific ball-winning veteran midfielder of 116 games could come back in to face Peel as well along with Laurence Grescos, Ethan Maguire and Levi Ridley. Peel last played two weeks ago in a loss to South Fremantle and from that team, the Thunder looks set to be significantly strengthened with Fremantle-listed AFL players on Saturday against Swan Districts at Bendigo Bank Stadium. Bradley Hill will play at least one match back with Peel on return from a knee injury and that will take place on Saturday with veteran defender Michael Johnson back after a one-week suspension as well. Brady Grey and Tom North are back for Peel as well coming off injuries while Lloyd Meek could also come into the line-up to provide the Thunder with another tall option. Ben Hancock and Michael Tassone are both in the mix to return for Peel as well while Josh Mathers and Haydn Matthews go out of the team to face Swan Districts.